All IP addresses on the customer routers have been preconfigured for you. OSPF has been configured on all routers and all networks are advertised. 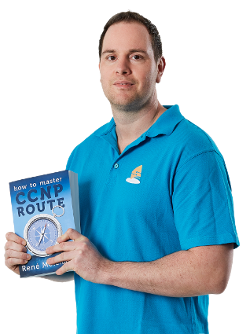 Configure router P2, P3 and P4 to activate MPLS an IETF standard MPLS protocol. 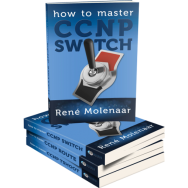 Configure router P1 to enable the same MPLS protocol without using the ‘mpls ip’ command. Configure all routers so only label range 20 – 200 will be used. Configure router P1 to use the IP address on the F0/0 interface as the MPLS Router-ID. Configure all routers to send the MPLS Hello every 2 seconds, the holdtime should be 10 seconds. Configure router P3 and P4 to establish the LDP connection between their fastethernet interfaces. Configure all routers to use MPLS MD5 authentication, the password should be “VAULT”. The TTL from IP packets should be copied into the label on all routers. Advertise a default route on router P2. Make sure that there is also a label advertised for the default route. There should be a hop count for LDP, set the maximum hop to be 10 on all routers. Change the maximum MTU for labeled packets on router P1’s interface F0/0 to 2000.
subnetmask /30 is bad for loopback of R3 and R4. so i change to /29 for all router. OSPF will advertise a loopback interface [b]always[/b] as a /32 no matter what you configured as a subnet mask. This will cause trouble with MPLS LDP because you have a different subnet mask on the loopback compared to what OSPF is advertising. If both are the same you won’t have any trouble…that’s why it’s best to stick to /32 for the subnet mask on all loopback interfaces OR change the network type for OSPF on the loopback interfaces. /32 for loopback is good!! hi how to download configuration files. Geetha- I want to do basic ldp operations in a eigrp enabled routers can u guide me? I believe there is a better way of approaching point four of this lab than shown in the video, since OSPF is the routing protocol being used here, in order to enable MPLS on router P1 without using the mpls ip interface command we can use the command mpls ldp autoconfigure (area) under the ospf process. This will enable MPLS on the interface without ever issuing the mpls ip command. Any way great job hear, I’m learning a lot. Thank you Rene. It would be nice if you could increase the font on the console window.